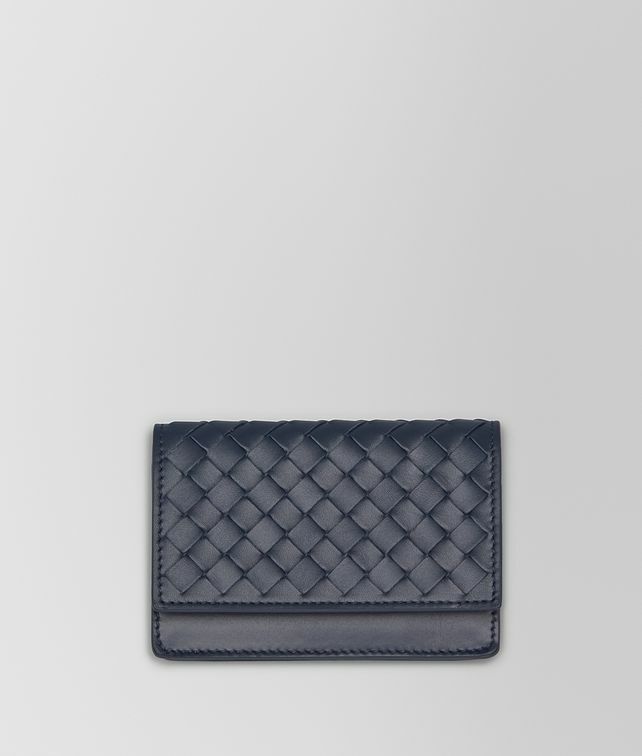 Hand-crafted in smooth VN leather, this business card case is an example of elegant design and quality craftsmanship. The Intrecciato flap opens to a single card slot and a practical compartment for notes and documents. There is an additional flat pocket on the back. Height 8 cm | 3.1"